Sun protection | What is the best sunscreen to use? Summer’s finished, the kids are back to school, the swimming costumes are back in the cupboard, and – hopefully! – you had a great holiday. All too often, though, we can still be suffering from the ‘holiday hangover’ – sunburn! This is a particular problem for those of you with dry, itchy or damaged skin. Let’s have a quick look at why it is that our skin becomes inflamed when it’s been over-exposed to the sun, and talk about the best sunscreen to protect the skin in the first place. UV rays have three different wavelengths: UVC, UVA and UVB. Of these, UVC light doesn’t reach us. UVA and UVB light, however, do. Not only that, this light penetrates the outer layers of the skin and can cause damage, including premature aging and the creation of carcinogenic melanomas. We can remember their effects on us by the simple lettering: UVA = aging, UVB = burning. Long-term pigmentation and scarring from the sun is the result of UVA rays, but the redness from sunburn is caused by the penetrating effects of UVB. If you have been unlucky enough to receive a high dose of these damaging UV rays, it is very important to combat the effects of sunburn – namely, redness, pain (often quite nasty pain too) and the subsequent flakiness and damage. How can I choose the best sunscreen cream? Regarding sun protection ceram, the following guidance is recommended by the NHS. SPF, which is short for Sun Protection Factor, shows how many hours the skin can be protected from the UVB while the cream is on. So be aware that it doesn’t protect from UVA! When you buy any sunscreen, please check if the products include UVA protection – this can be seen as the letters “UVA” inside a circle for European markings. In addition, when the SPF value gets higher, the UVB prevention effect will get also higher. For example, SPF15 has about 5 hours effect to combat from the sun (the SPF1 has approximately 20 minutes prevention value – 20 mins × SPF15 = 600 minutes (5 hours)) However, the higher the SPF value, it could damage the skin as well. Therefore, SPF15 is better to keep the skin healthy. Occasionally, like on long summer days with a strong level of sun exposure, you may want to use it up to SPF30. 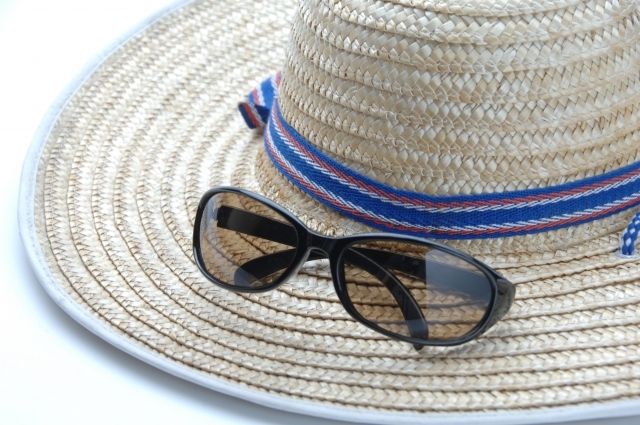 You can also wear a hat and sunglasses, or keep to the shade as much as possible. It is also important that you do not rely too much on sunscreen creams only. Apply sunscreen directly to all areas of the skin that are exposed. At the beach, use a waterproof sunscreen when entering the water. Try to reapply it as frequently as possible. Remember, though – it’s better to apply a cream with a lower SPF value and repaint frequently. Otherwise, you can apply an SPF face powder for thorough UV protection.